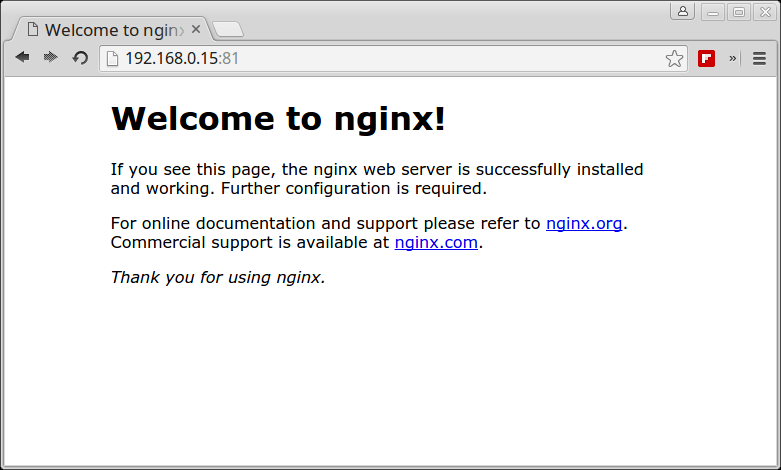 Following the previous Docker article, this tutorial will discuss how to save a Docker container into a new image, remove a container and run a Nginx web server inside a container. 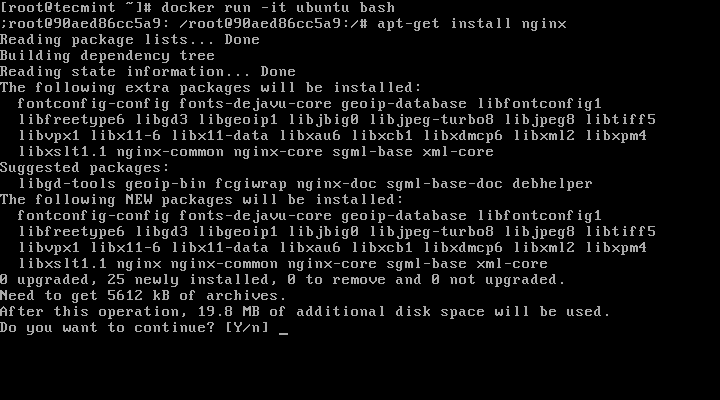 # docker run ubuntu bash -c "apt-get -y install nginx"
2. 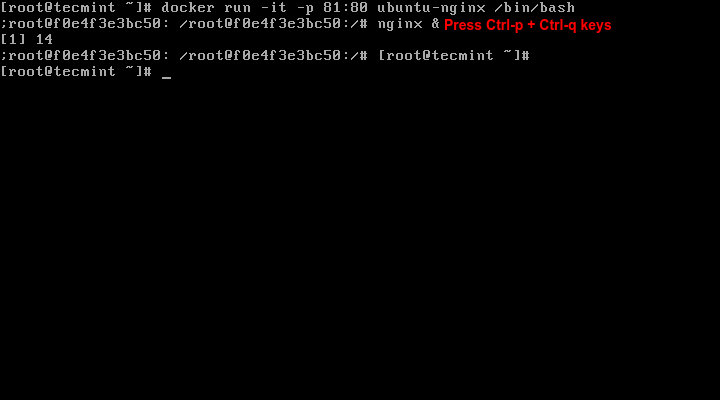 Next, after Nginx package is installed, issue the command docker ps -l to get the ID or name of the running container. Here, 5976e4ae287c represents the container ID and ubuntu-nginx represents the name of the newly image that has been saved with committed changes. In order to view if the new image has been successfully created just run docker images command and a listing of all saved images will be shown. Chances are that the installation process inside the container finishes fast which leads to a non-running container (container is stopped). In this case the docker ps command won’t show any output because no container is running. 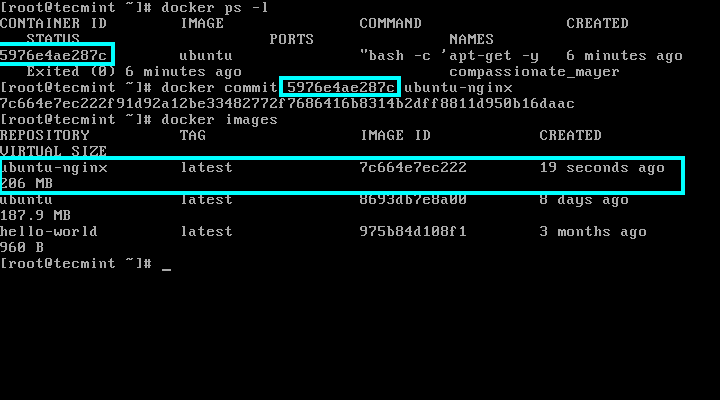 In order to be able to still get the container’s id run docker ps -a | head -3 to output the most recent containers and identify the container based on the command issued to create the container and the exited status. 3. 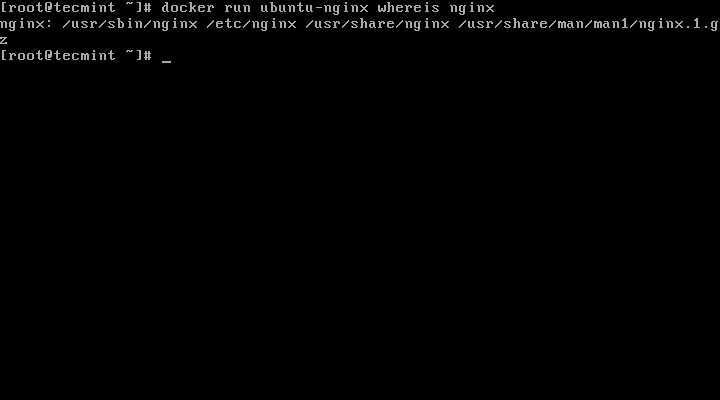 Alternatively, you can actively enter container session by running docker run -it ubuntu bash command and execute further apt-get install nginx command. While the command is running, detach from the container using Ctrl-p + Ctrl-q keys and the container will continue running even if the Nginx installation process finishes. 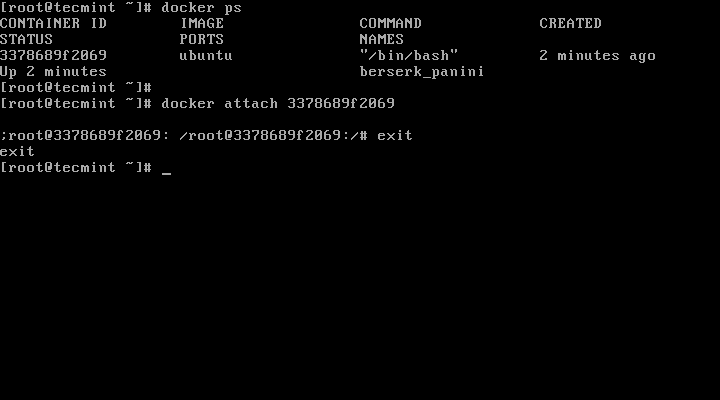 Then, get the running container id with docker ps and commit changes. When finished, re-enter to container console using docker attach and type exit to stop container. 6. In this part we will concentrate on how you can run and access a network service, such as a Nginx web server, inside Docker, using the ubuntu-nginx image created earlier where Nginx daemon was installed. 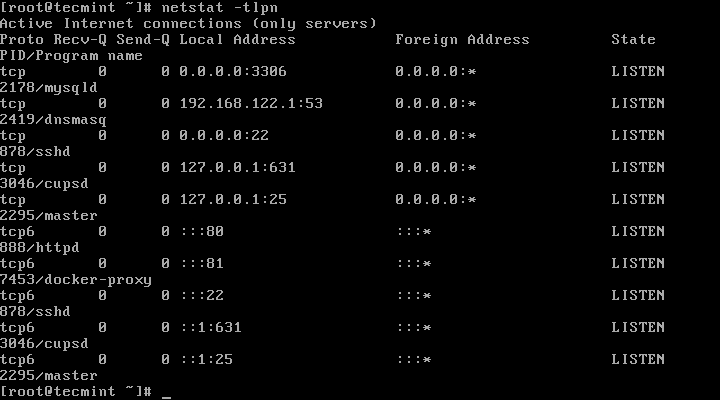 Here, the -p option exposes the host port to container port. While the host port can be arbitrary, with the condition that it should be available (no other host services should listen on it), the container port must be exactly the port that the inside daemon is listening to. Once you’re connected to container session, start Nginx daemon in background and detach from container console by pressing Ctrl-p + Ctrl-q keys. 8. In order to visit the page served by the Nginx container, open a browser from a remote location in your LAN and type the IP address of your machine using the HTTP protocol. Be aware that using this kind of containers to run web servers or other kind of services are best suited only for development purposes or tests due to the fact that the services are only active while the container is running. Exiting the container disrupts all running services or any changes made. I am struggling with the following. Can you please help me? 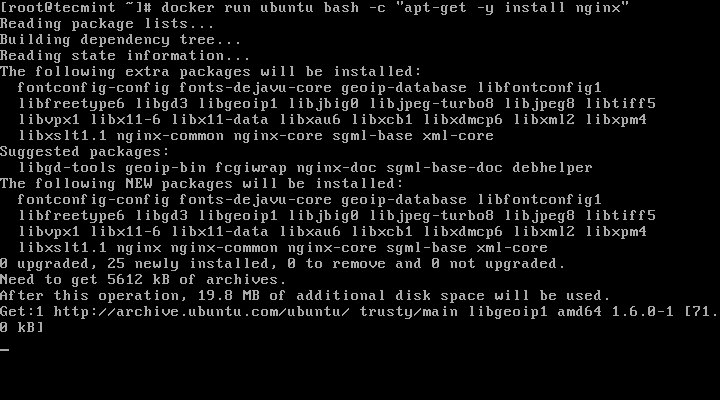 I installed docker in a Ubuntu VM on my virtual box. My goal is that: From a centos based container that is running in this docker, I want to launch other docker containers. How do I do this? Do I need to yum install docker inside my first docker image? 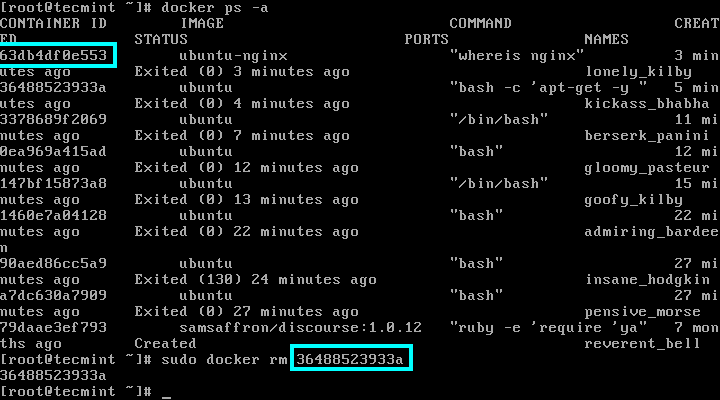 docker is present only in host Ubuntu VM. 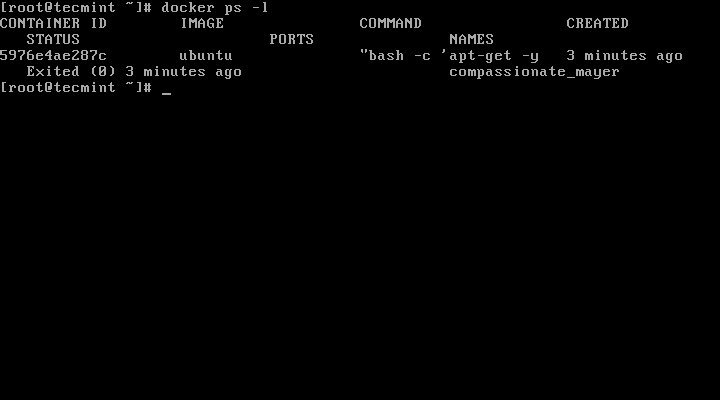 How can the centos based container run docker commands? Your question is still not clear to me.. 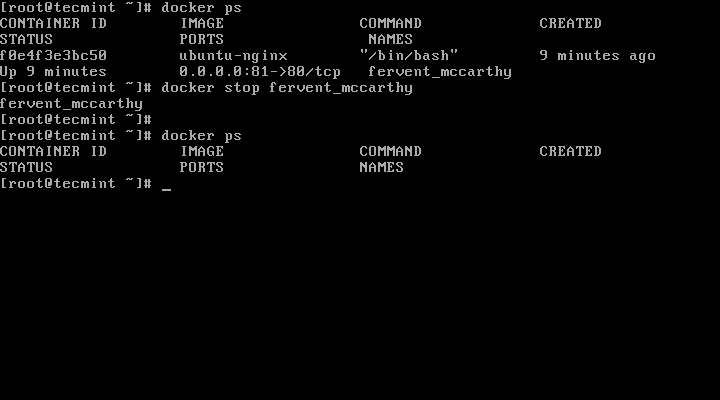 If you want to run CentOS container under Ubuntu VM, you can create container as explained in this article.. I am getting below error. How do I edit /etc/apt/source.list Vi command is not working in Ubuntu image. Please help me on this. Enter container interactive cli with -it options and manually edit sources. Use nano editor If vim is not available. What image are you using? verify /etc/apt/sources.list and always run sudo apt-get update before installing anything so that the package list is up-to-date. The above error indicates that the repos (universe) inside the sources.list doesn’t have the required package (nginx) for the image ‘ubuntu’. Things will work If you try using the image ‘docker.io/nickistre/ubuntu-lamp‘, you will be able install the nginx daemon inside the container. Could you please let me know how can I set IP in docker image ? You cannot set an IP address inside a docker container, but you can create a bridge interface on the host and instruct a docker container to use that bridge using the -b option. Thanks But after apache install how I will call at browser ? Could you please share any doc or tutorial for this ? Please post next part of Docker.. Already published part 3, here is the link just go through it..